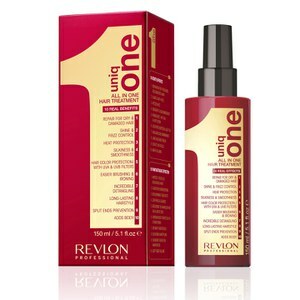 Uniq One is an innovative hair care brand which boasts ten key haircare benefits in their products and treatments, working together to nourish, hydrate and protect the hair. Using advanced scientific technology to strengthen hair, reduce breakage and minimise split ends, their products are still suitable for sensitive skins and scalps due to the silk amino acids present in their hair care which work to gently moisturise and protect. By also providing UVA and UVB protection, the range works to constantly hydrate the hair and scalp, protecting it from the sun’s damaging rays, so even on holiday when hair is exposed to sun and chemicals such as chlorine, hair still remains shiny, smooth and manageable. The conditioning properties present in the products means that a post-shampoo conditioner is not necessary, thereby inhibiting the hair being weighed down. 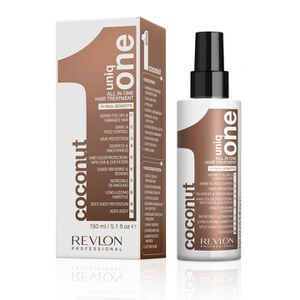 Instead, Uniq One recommend their Hair Treatment spray which works to detangle hair post-cleansing and offer an extra boost of moisture and hydration to the hair fibres. 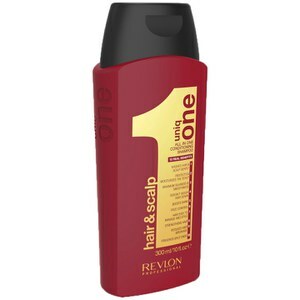 In comparison to the traditional 2-in-1 shampoos and conditioners which can leave the hair feeling dry, the Uniq One products offer a very different haircare experience, leaving hair thoroughly cleansed but wonderfully conditioned.